When it comes to the light duty truck category, competition is fierce. Yet innovation has slowed. Most popular auto manufacturers have considered the pickup truck perfected. After all, new pickups are efficient, powerful, and capable. But don’t be fooled. The pickup truck can still be better – and the 2019 Dodge Ram is about to change everything. Every model year, new Ram vehicles take pickups to new heights. Long awaited by truck enthusiasts, the 2019 Ram is the best iteration yet. Luckily for Ram fans, the newest additions to the Ram family aren’t just well-built. They’re also more affordable than ever before. One of the most exciting changes for the 2019 Dodge Ram is more – the newest model year is bringing more choices, more trim levels, and more features for drivers to choose from. For the first time, Ram fans can choose from seven different trim levels to customize their pickup: Tradesman, HFE, Big Horn, Rebel, Laramie, Longhorn, and Limited. Those who want to drive in luxury will love the Laramie, Longhorn, and Limited trims, which are designed with additional features and top-of-the-line safety options. No matter the trim you pick, all 2019 Rams will come with a 3.6 liter engine and an eTorque fuel saving system. There’s only one transmission option, an eight-speed automatic, but the Dodge Ram picks up speed with a sleeker, lighter frame. 225 pounds heavy – 120 pounds lighter than last year’s model – the 2019 Ram is the lightest ever made. But it’s also the strongest. 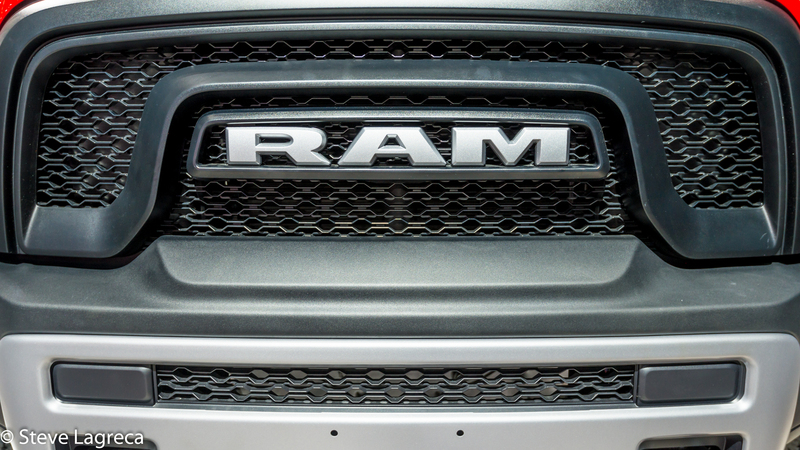 Crafted from 98 percent high-strength steel, the newest Ram truck is incredibly safe thanks to its increased strength. It’s performed exceptionally in front collisions, keeping drivers and passengers protected. Ram trucks are famous for being among the toughest, hardest working vehicles available. And the 2019 model year is even tougher than the last. The new Ram is capable of towing and hauling up to 12,750 pounds, an additional 2,000 pounds. Loading cargo into the truck bed is easier too – with a built-in life assist feature right on the aluminum tailgate, the redesigned bed comes with a nitrogen and oil-charged strut. Inside the newest Ram you’ll also find exciting changes. Though the Dodge Ram has kept its cab style for decades, the 2019 model is changing things up. Gone is the regular cab; in its place are a Quad Cab and Crew Cab, both of which come with four doors and roomy back seats. Want the most space possible? The Crew Cab comes with reclining rear seats and 10 extra inches of legroom. In addition to a slew of trim choices, innovative features, and new capabilities, there’s a huge surprise in store for Dodge Ram fans. For the first time, the newest additions to the Ram lineup are dropping in price. You can now own a top-tier pickup truck for far less. The revamped 2019 Ram 1500 starts at a base price of $31,695. Though the base model truck is seeing a price increase, it’s a small one – just $800 more than the 2018 Ram despite even more features and luxuries. The real discounts, however, are found on some of the more expensive options. If you’re looking to score a deal on a brand-new 2019 Dodge Ram, make sure to check out the Ram Rebel. Priced at $44,695, this higher-tier level is a steal. It’s a total of $2,700 less than last year’s version, making a more luxurious trim a fantastic deal. Want an even bigger discount? The 2019 Ram 1500 Big Horn (with quad cab and two-wheel drive) costs $35,695 – a $2,045 price cut from the 2018 version. The 2019 Dodge Ram is one of the year’s biggest truck releases. But it’s also one of the year’s best values, with prices on a variety of trim levels discounted to new lows. There’s no need to haggle with salespeople at the dealership when Ram is already lowering prices and offering discounted pricing for 2019. Of course, these prices are simply starting points. Auto companies offer incentives, rebates, and sales on top of trucks’ base pricing – so why not try to get an even deeper discount on your brand-new 2019 Dodge Ram? Do your research before buying one of the newest Ram trucks, and you could save even more. Interested in one of the 2019 Ram trucks? Start a search today.